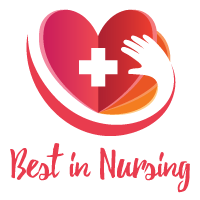 Dr. Pamela V. Johnson, an Advanced Registered Nurse Practitioner at ConsultIdaNP and On-Site WoundConsultants has been recognized as a “Leader in Nursing” among “America’s Best Nurses” for 2017. She will be sharing her knowledge and expertise on Nursing, Family Practice Nursing, Home Based Primary Care, and Wound Care. Dr. Johnson offers valuable insight in her role as a Doctoral Prepared Advanced Registered Nurse Practitioner at ConsultIdaNP and On-Site Wound Consultants. ConsultIdaNP was established in 2006 to provide people confined to their place of residence access to primary healthcare. On-Site Wound Consultants provides people living in a variety of settings access to expert wound care. With over two decades of experience in the field of Nursing, Dr. Johnson’s day-to-day responsibilities include coordination and oversight of wound and primary care practice in home-based settings. 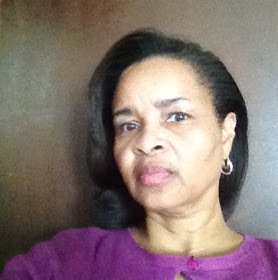 In 1996, Dr. Johnson graduated with a Baccalaureate of Science degree in Nursing from Barry University in Miami Shores. To further her professional development, she completed a Masters of Science in Nursing degree from the University of Central Florida in 2004, ensued by national certification and title of Advanced Registered Nurse Practitioner (ARNP). In 2015, she earned a Doctor of Nursing Practice degree from Florida Atlantic University after completing a five year retrospective analysis of single state data to answer the question: How does statewide Medicaid Managed Care insurance plans lack of policy to empanel Advanced Registered Nurse Practitioners affect cost of access to primary care for home bound Medicaid recipients? Dr. Johnson maintains affiliations with the American Association of Home Care Medicine, American Association of Nurse Practitioners, American Nurses Association, and Sigma Theta Tau International. Additionally, she served as a Board Member for Florida Nurse Practitioner Network 2012 through 2015. Dr. Johnson is committed to challenging health systems to provide office based primary care to the home bound population. Looking back, she attributes her level of success to having excellent mentors. Among her many professional accolades, Dr. Johnson is proud to have published numerous articles elaborating on her role as a Nurse Practitioner and the issues one may face practicing in Florida.Her commitment to the profession of Nursing led to recognition by the Nurse Practitioner Council of Palm Beach County as the 2015 Nurse Practitioner of the Year. In her spare time, she enjoys reading, writing, water sport activities, and volunteering with the United Methodist Women and United Methodist Volunteers in Mission. Considering the future, Dr. Johnson hopes to influence health systems to provide consistent and affordable access to healthcare for people confined to their home setting. On-Site Wound Consultants is a mobile wound care center. Quality wound care is brought to the patient’s home, independent living, assisted living, rehabilitation, and skilled nursing facilities. alliances with home care agencies, medical professional and facilities. ConsutlIdaNP offers access to primary care for people with multiple chronic health conditions living within their home setting.